Just got 15 minutes to put together dinner, well there is nothing better than my egg fried rice. A few store cupboard items are required as we have no time for shopping and I am hungry NOW! 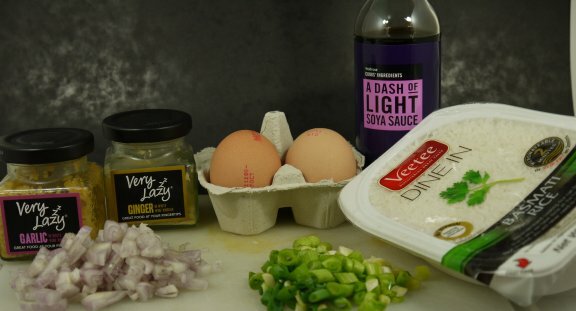 So crack a couple of eggs into a bowl and add a good slosh of Soya sauce and give it a good stir and set aside. Chop 3 green onions into rings and add to the egg and Soya sauce. Dice two shallots. 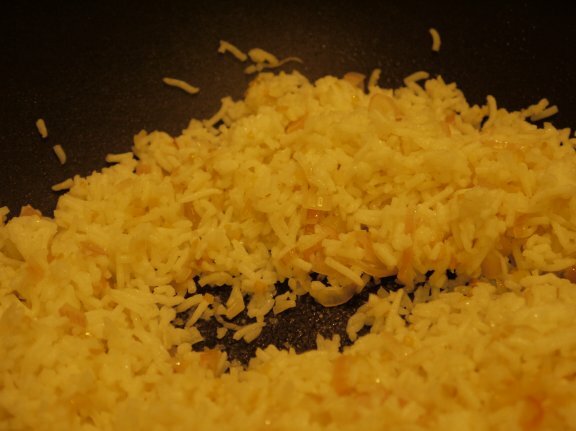 Get your cheats garlic and ginger out of the fridge and put a heaping teaspoon of each into some olive oil in your wok. 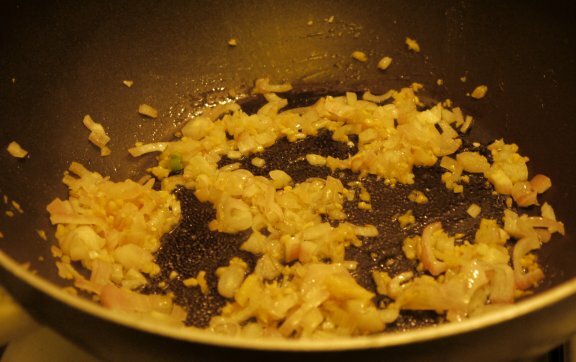 Add the shallots and fry on low heat until the shallot is soft and the garlic and ginger are slightly browned. After about 2-3 minutes when the rice has separated and warmed through add the egg mixture to the wok and give it a good stir. Cover with a lid to retain all the moisture. Leave it cook for two minutes then give it another stir. Now turn the heat right down and leave the lid on. We want to cook it for another 3-5 minutes to get a nice brown crust on the rice. 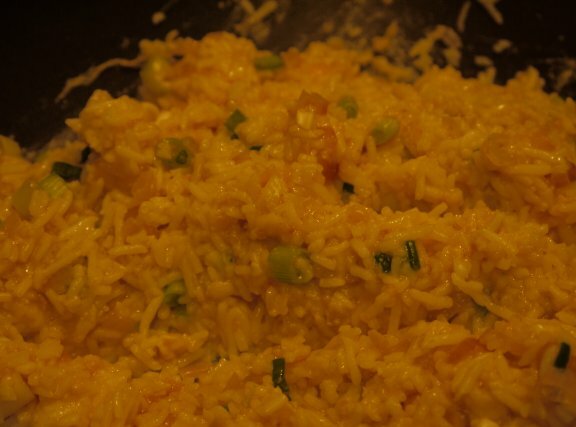 Then turn off the heat and leave it to rest for another 3-5 minutes to cook through and make rice and egg clumps. 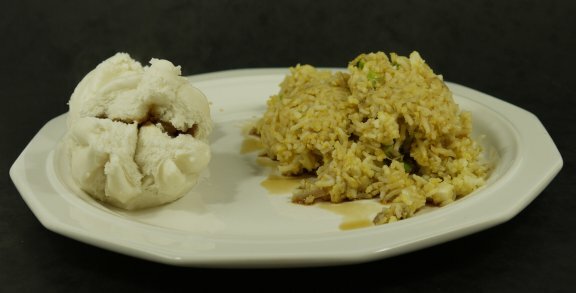 Here it is plated up with a couple of steamed Cha-Siu buns from my local Chinese supermarket. Dash on some more Soya sauce depending on how salty you like your rice. And anything else you have lurking in your fridge except of course sweet corn. P.S. 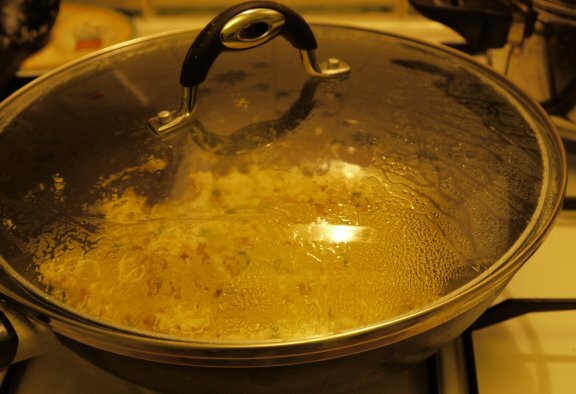 put what you don’t serve into a container and squirt some washing up liquid into the wok along with some hot water, so by the time you finish dinner the soap will have loosened the burnt rice and the wok will be ready for cleaning. This entry was posted in Recipes, Vegetarian. Bookmark the permalink.